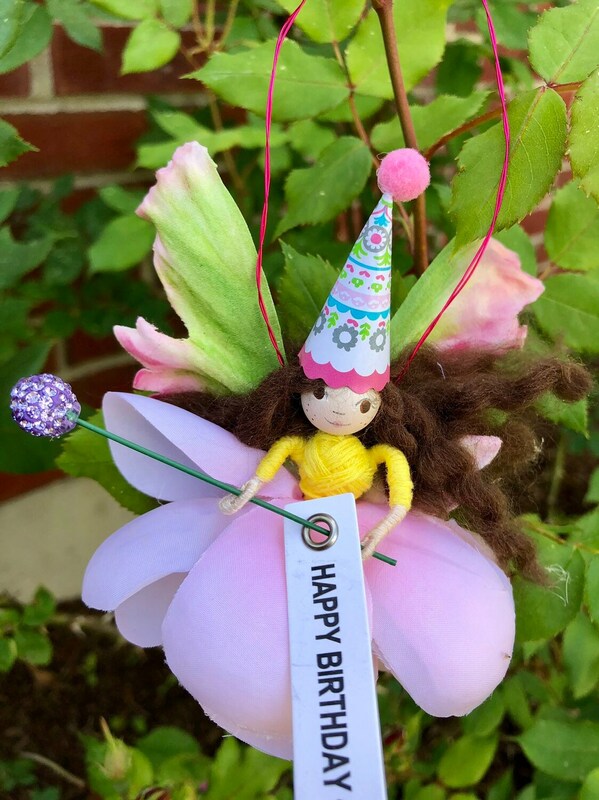 Birthdays are magical- why not celebrate that magic with a custom birthday fairy made with your selection of hair color, eye color and your own personal touches? 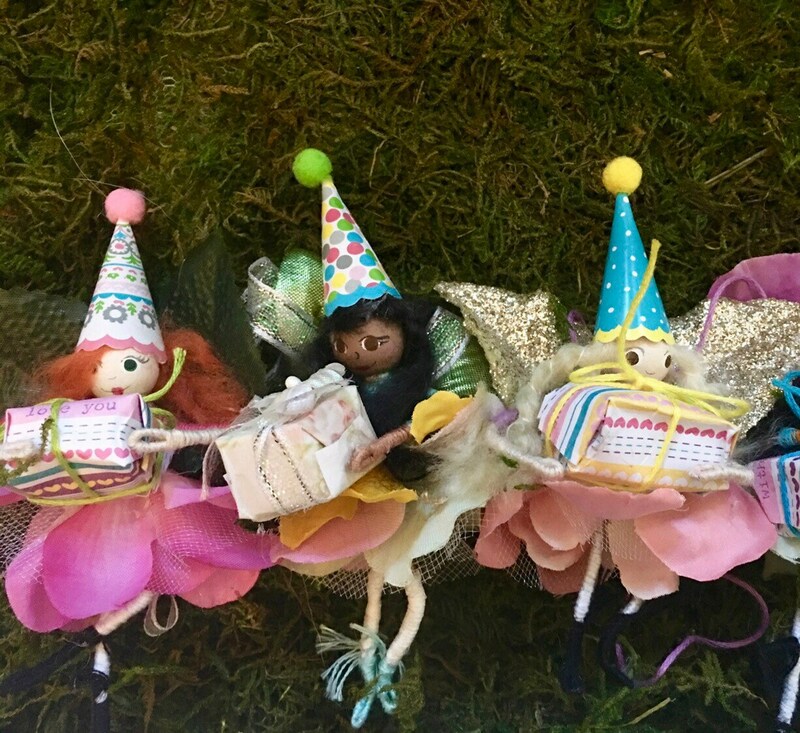 Each fairy arrives wearing a tiny birthday hat and holding a wee birthday gift wrapped in festive wrapping paper and topped with a bow. Or if you’d rather, she can be holding a little wand as seen in the first picture (if none specified I will choose for you). In the convo section, let me now what color choice (s) you’d like for your birthday fairy’s flower petal clothing, as well as any details you’d like incorporated ( freckles, glasses, braided hair or other hair style). Next, let me know a short message to be printed in a teeny, tiny fairy sized birthday card in a wee envelope ( you’ll save $2 on the card when ordering this birthday fairy! ) There really couldn’t be a sweeter, more whimsical way to say Have a Magical Day!